MCG Archives · Stop the Cap! 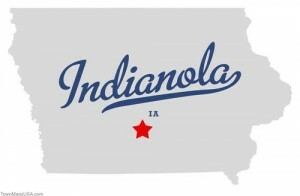 Indianola, Iowa has relied on community-owned and non-profit Indianola Municipal Utilities (IMU) to deliver gas and electric service to the community of 15,000 for more than 100 years. Now customers in south-central Iowa will soon be able to purchase broadband service from the utility as it prepares to open its fiber-to-the-home network to residential customers. Partnering with Mahaska Communication Group (MCG), IMU will be in the triple-play business of phone, broadband, and cable television by October. Iowa’s public broadband network has served institutional and large commercial users since being installed in the late 1990s. But residential services were not available until recently. Wholesale service comes primarily from Iowa Network Services via a SONET protected fiber optic ring, with redundant access going from and to Indianola. Multiple direct connections to Tier 1 backbone providers also ensure reliability and speed. 100/100Mbps – For multiple users with high bandwidth demands and business customers. Download a 2 GB file in 30 seconds. The triple play package, including 25/25Mbps broadband, TV and phone service will sell for $99.95 a month. That is the ongoing rate, not an introductory teaser that expires after 6-12 months. Standalone broadband customers can purchase 25/25Mbps for $39.95 a month. Upgrading broadband speed will be fast and affordable: $5 a month extra for 50/50Mbps service, $10 a month more for 100/100Mbps service. Mediacom charges considerably more for its broadband service, which has vastly slower upstream speeds and usage caps. CenturyLink locally provides 1-3Mbps DSL service for many customers in the area. No introductory prices that leave customers with a higher bill after 6-12 months. The municipal utility says it welcomed other Internet Service Providers, including CenturyLink and Mediacom, to sell services over their public fiber network. Neither provider has shown any interest.